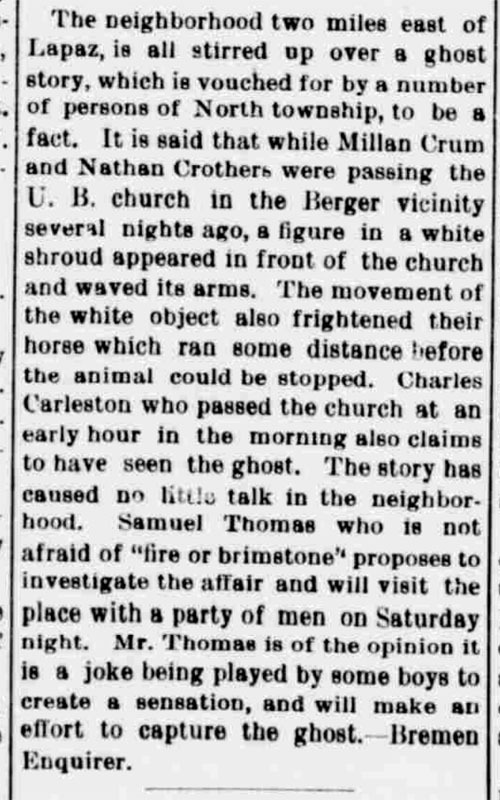 This spooky item ran May 18, 1900, in the Marshall County Independent (repeated from the Enquirer). No follow up was found, so perhaps the ghost hunters turned up nothing—or perhaps they never returned at all…. “Millan” Crum might be Milon Crumb (1859-1929) or possibly Melvin Crum (1864-1909), both of North township.